Windsquire is an addicting game that combines skill-based racing and maze-like obstacles. Created by Baltimore-based Mindgrub, the storyline follows a squire who ventures on a quest to amass treasure. When the squire tumbles onto mystic runes, he becomes infused with the ability to fly by controlling the wind. His mission: to find treasure while escaping a ferocious dragon. 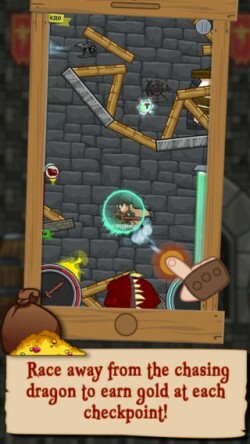 Windsquire was originally conceived to be a puzzle game involving mazes and a floating balloon, but game director Mark Mirchandani told us that “Windsquire quickly evolved into a fantastically whimsical and intense experience involving dragons, magical powers, and weapons used to fight through the five unique worlds within Dragon Castle.” After nine months of development, the game evolved into a unique and creative title, now available for iOS and Google Play. 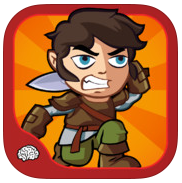 Download Windquire from iTunes or Google Play and begin your adventure as a brave young squire!